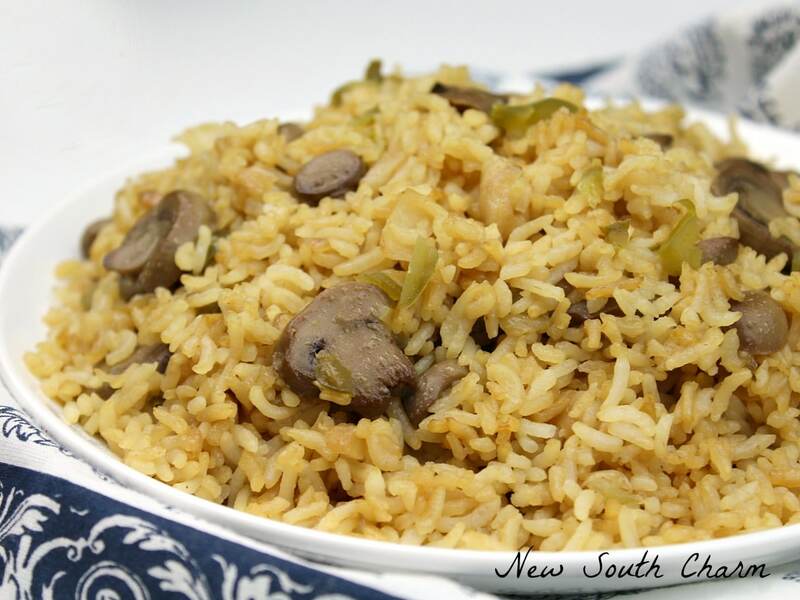 Today I’m sharing a company worthy recipe for Mushroom and Toasted Pine Nut Pilaf is simple enough for any night but sure to impress at your next party or holiday. These side dishes include Cranberry Relish which I shared on the blog last year and Ambrosia Salad which I shared a couple years ago. 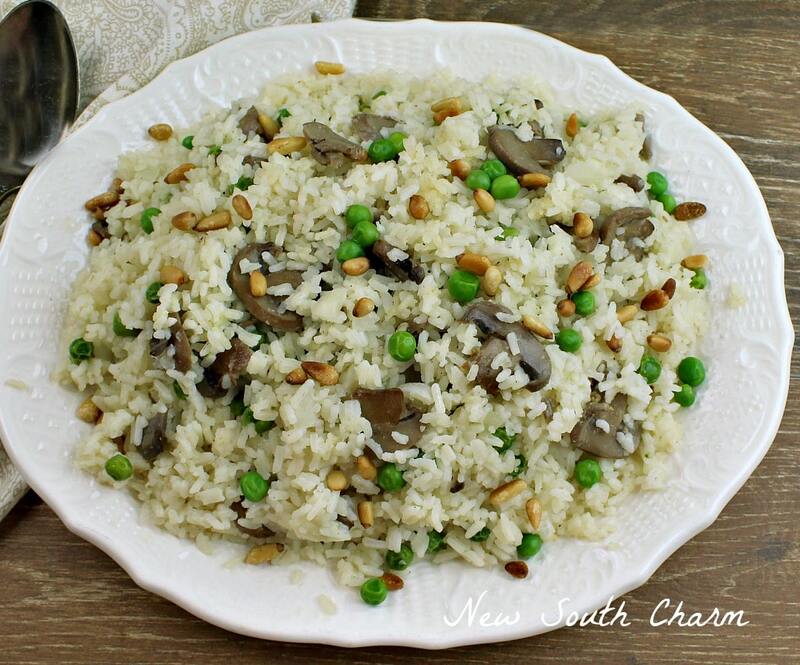 This year I’m making this Mushroom and Toasted Pine Nut Pilaf. It’s a simple dish but it’s going to be perfect accompaniment to the turkey. Now I know you’re thinking rice pilaf? What’s exciting about that? Well this isn’t just any ordinary, bland rice. 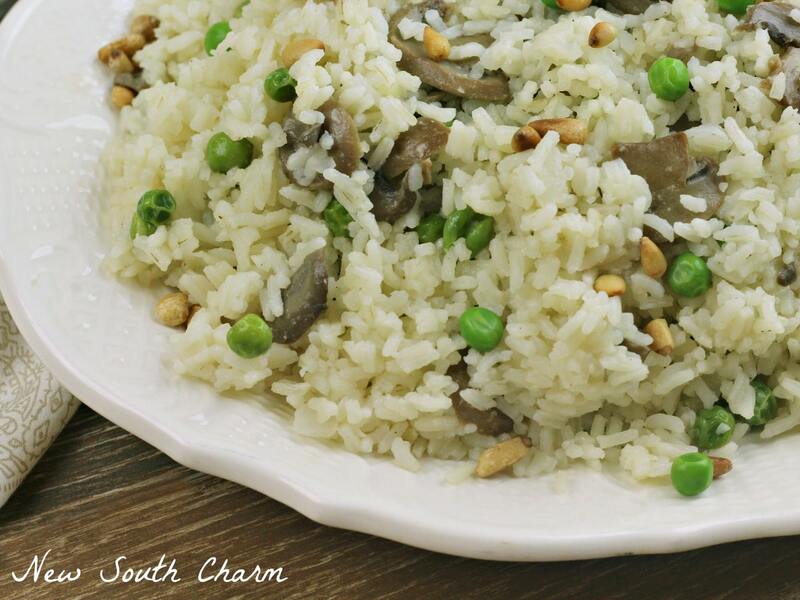 Mushroom and Toasted Pine Nut Pilaf is full of great flavors and is just a little bit fancy. I believe fancy doesn’t have to be complicated. Actually that’s kind of profound; maybe I should cross stitch is on a pillow or maybe t-shirts. Ok, back to the recipe. This recipe will make enough for about six small portions. Depending on how many friends and family you have around your table you might need to adjust the recipe for more or less. I started by toasting the pine nuts. There are several ways to do this but I recommend just dropping them into a skillet and cooking over low heat for a few minutes while stirring constantly. When the nuts become fragrant and golden brown they are done. Keep an eye on the nuts while they are toasting because they can burn quickly. Once the nuts have been toasted set them aside in a bowl. Then in a stock pot over medium high heat cook onions and mushrooms until tender. 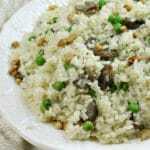 Then add the VeeTee Long Grain Rice and frozen peas and cook for about three minutes. Next, pour in chicken stock, butter and pine nuts to mixture bring to a boil. Then reduce heat and simmer for ten minutes stirring occasionally. 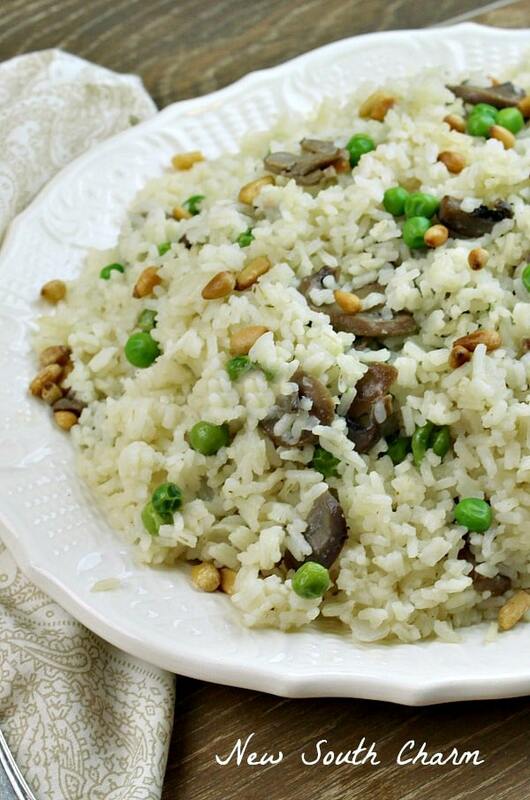 Making this Mushroom and Toasted Pine Nut Pilaf with VeeTee Rice really cuts down on cooking time. Let’s face it when your cooking a big meal like Thanksgiving you need a few great shortcuts. 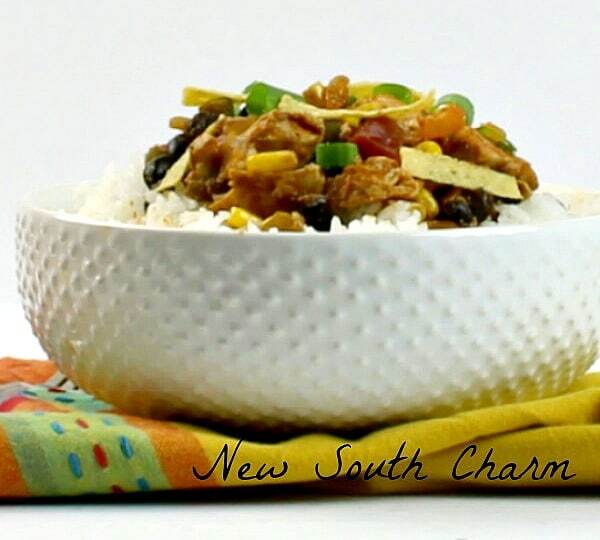 VeeTee Rice is the perfect shortcut because you can stir fry or microwave the rice in just two minutes. Meaning there’s no need wait for the rice to cook! How can you not love that when your busy cooking so many other dishes for your Thanksgiving feast? 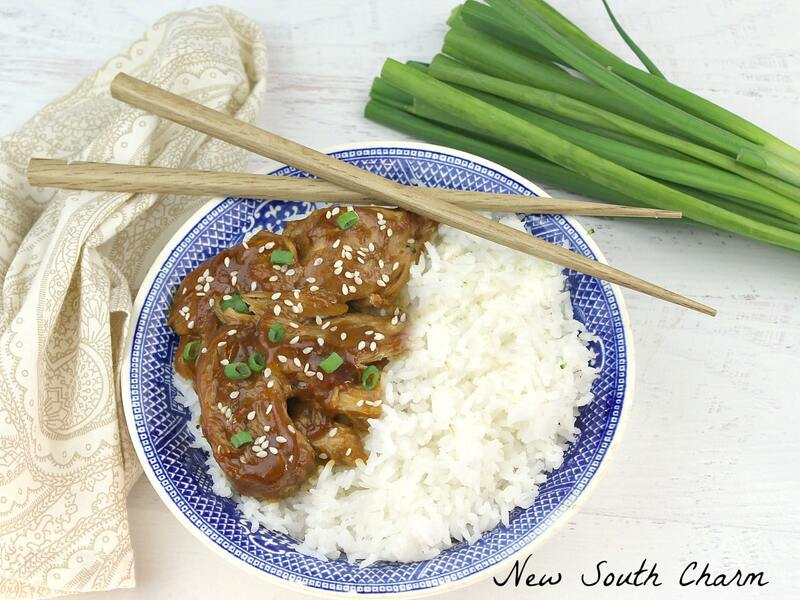 Be sure to scroll down to the bottom of the page to see links to the other great recipes I’ve made with VeeTee Rice! 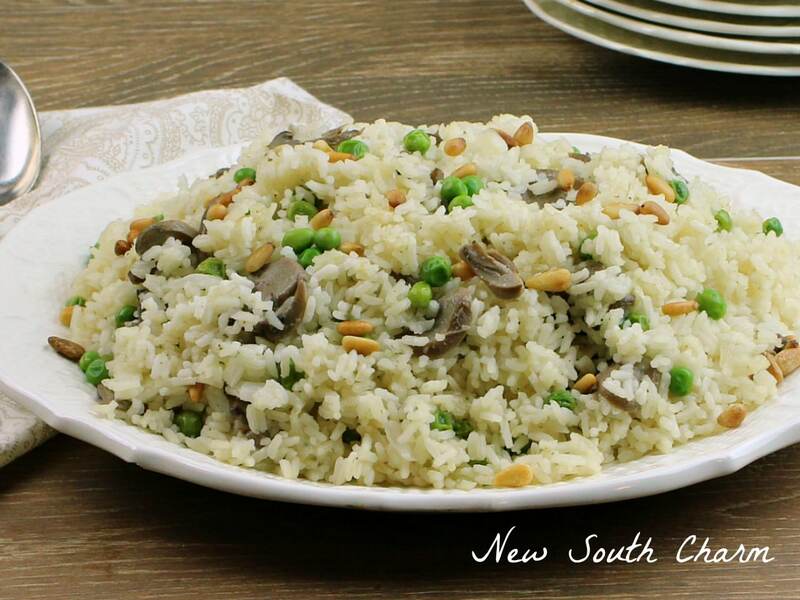 Today I'm sharing a company worthy recipe for Mushroom and Toasted Pine Nut Pilaf is simple enough for any night but sure to impress at your next party or holiday. Toast pine nuts in a skillet over low heat stirring constantly for about three minutes or unit golden brown and fragrant. pour in chicken stock, butter and pine nuts to mixture bring to a boil. Then reduce heat and simmer for ten minutes stirring occasionally.